It's unlikely that SilkAir's B737 MAX 8 aircraft will get all aisle access, but on the plus side, flatbeds are coming. 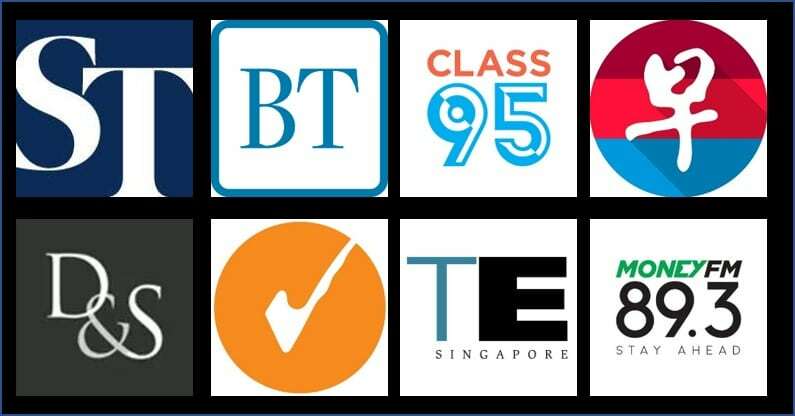 In May 2018, SIA announced that it would be merging SilkAir into the Singapore Airlines brand. 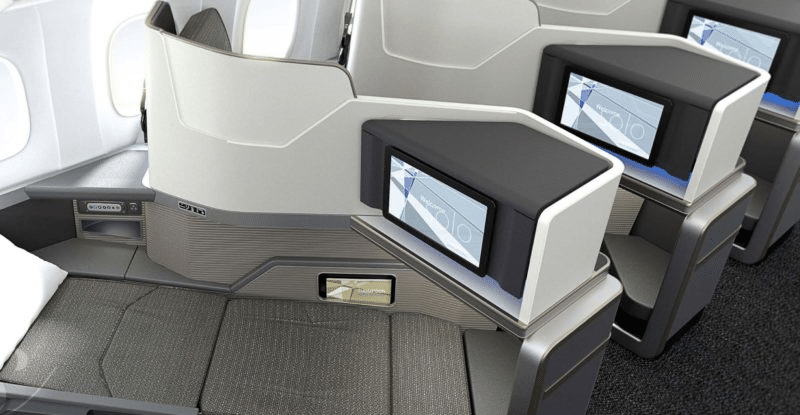 The merger would only take place after SilkAir underwent a S$100M “major cabin upgrade”, which includes adding lie-flat seats to SilkAir’s Business Class cabins and installing seat-back IFE in all classes. 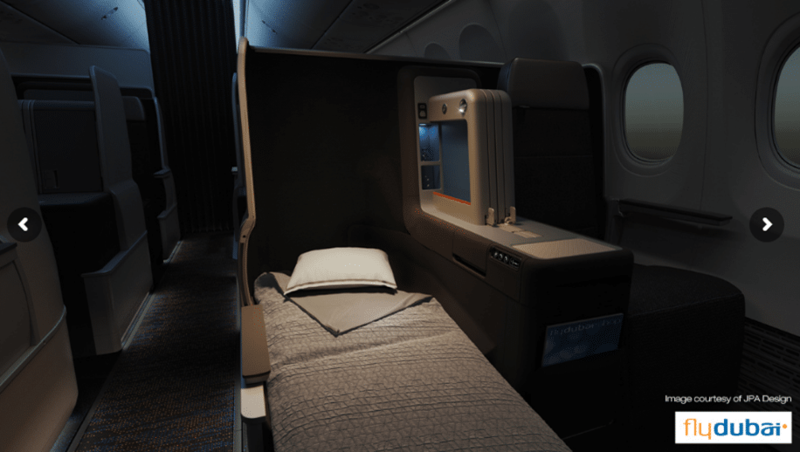 The upgrade will only start in 2020, but there’s been a ton of speculation as to which Business Class seat Singapore Airlines will select for its newly-inherited narrowbody fleet. Singapore Airlines announced this morning that Thompson Aero had been selected to supply the Business Class seats on its Boeing 737 MAX 8 fleet. Although the exact seat has not been announced, the press release talks about a “forward-facing staggered layout”, which would sadly exclude Thompson Aero’s new VantageSolo design. 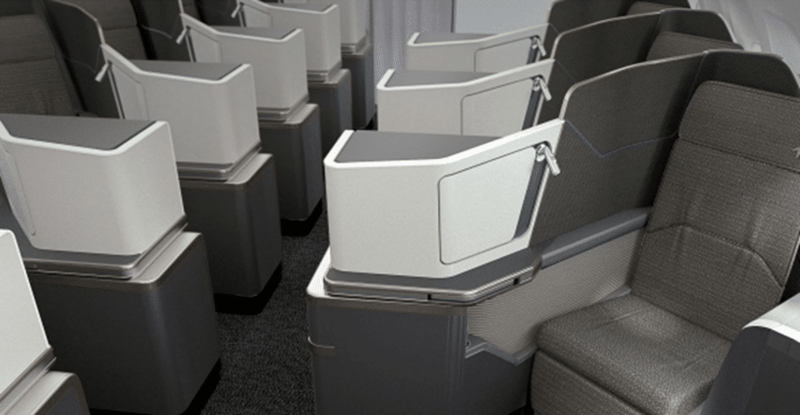 Based on Thompson Aero’s online catalogue, the most likely candidate for a forward-facing staggered seat will be the Vantage, which is already in use on carriers like flydubai and JetBlue. These seats, unfortunately, do not provide all aisle access. 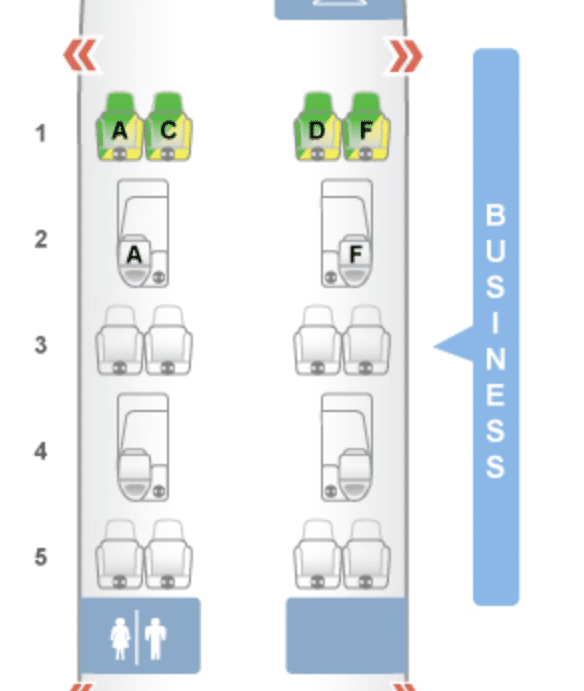 In a typical 10-seat cabin, you’ll have an alternating 2-2, 1-1, 2-2 layout which means that only 60% of passengers would have direct aisle access. Only the 4 passengers in “throne” seats would have undisturbed aisle access as they don’t have a seatmate. 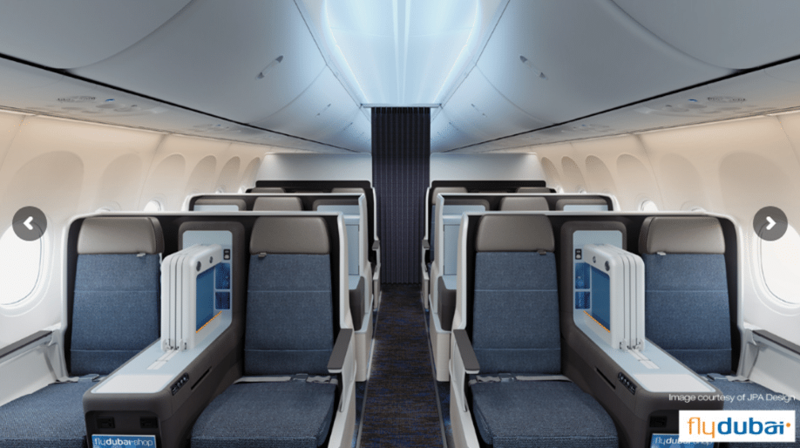 On the plus side, the seats will convert into full-flat beds, which means a better sleep for everyone. Given that SilkAir’s narrowbody aircraft serve routes as long as Cairns (~7 hours), this is a welcome upgrade. Although no further details have been provided, I think it’s safe to assume that each seat will have in-seat power and USB charging. SilkAir has been very quiet about inflight internet so far, and it remains to be seen what (if any) solution will be provided. For what it’s worth, SilkAir already offers wireless streaming of IFE on most of its aircraft, but internet connectivity is still lacking. 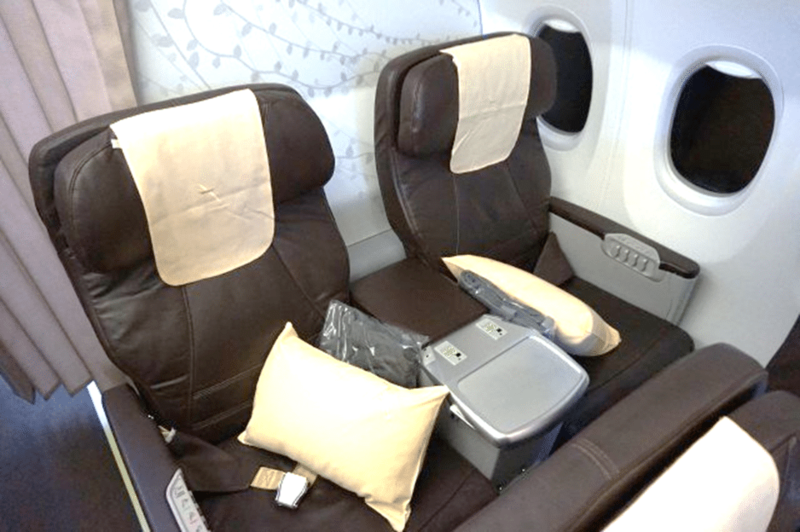 Which SilkAir aircraft will get these seats? 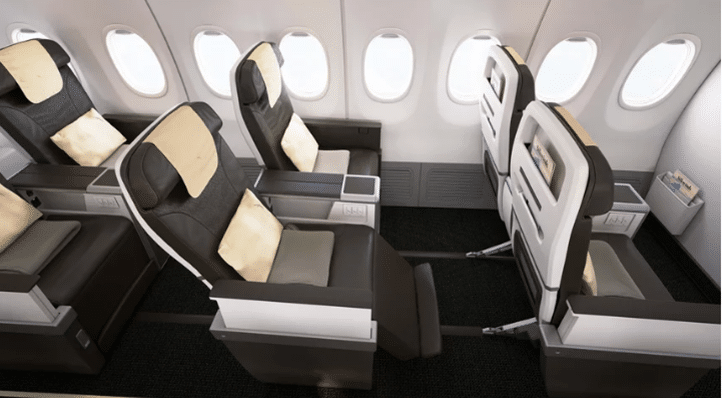 All of SilkAir’s B737 MAX 8 fleet will get these new cabin products starting from May 2020. The airline currently has 5 such aircraft in its fleet with a further 32 on order. The existing B737 MAX 8 aircraft (9V-MBA, 9V-MBB, 9V-MBC, 9V-MBD and 9V-MBE for those of you who want to track them) currently fly to Cairns, Phnom Penh, Phuket, Kathmandu, Hiroshima, Darwin, Chongqing, Kuala Lumpur, Hyderabad, Penang, Bangalore, Wuhan. Not all of these routes are operated daily, so be sure to check your aircraft type at the booking screen. There’s been no mention whether the older B737-800 jets will receive these seats, but it’s highly unlikely given that these aircraft are set to be transferred to Scoot. SilkAir’s A320s will be retired and will not receive any new products. 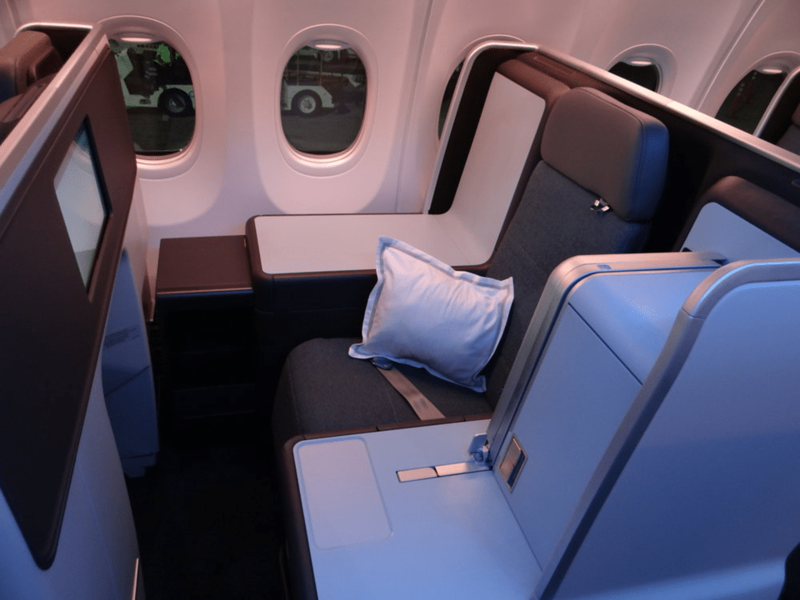 It’s a bit of a bummer that it appears to be more or less confirmed that SilkAir’s new Business Class will not feature all aisle access, because there’s nothing worse than having to cowboy step over your fully-reclined seatmate to go to the loo (first world problems, yes). I suppose you could say that traveling couples would much prefer this arrangement, but for everyone else, it’s sub-optimal. 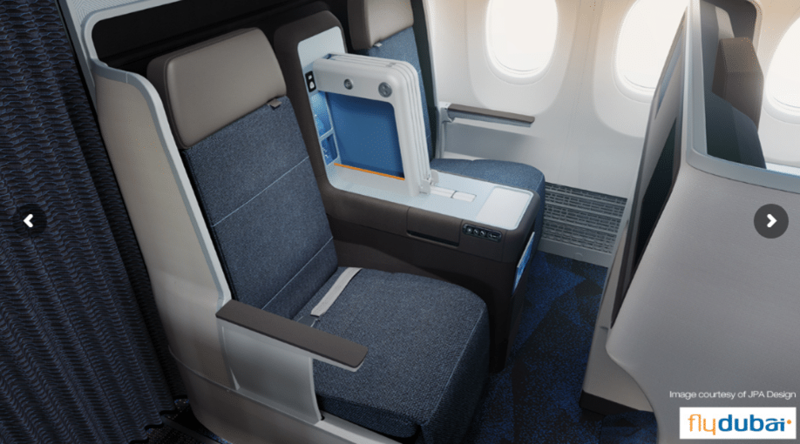 On the bright side, a full-flat bed is a guaranteed, and based on SQ’s seat design history they’re likely to make some minor modifications to the color scheme and features to make it slightly more unique. I suppose we’ll see further details in the months to come.